Jadeja's switched ends. The floodlights are on as it's got a bit overcast and dark. 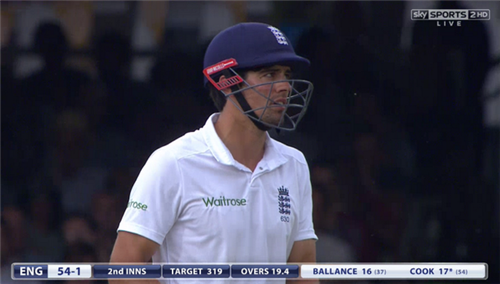 Cook, who is moving right across his stumps, turns a single to midwicket. Vijay is aiming at the footmarks outside the left-handers' off-stump. He gets one to shoot through low, beating Dhoni as well as Cook and costing four byes, Later in the over, another one turns and bounces past Cook's outside edge. Ballance doesn't look as comfortable against spin as pace. 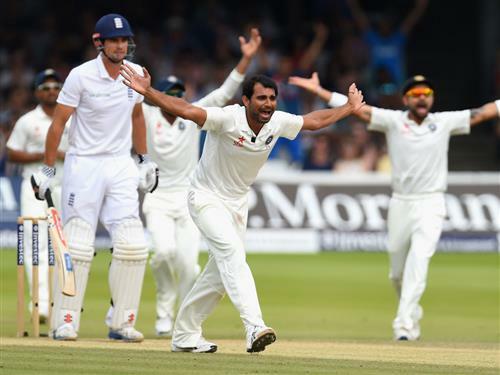 Jadeja finds his outside edge but the ball runs down and away for four. Another one hits the footmarks and shoots through low but, again, it's well outside Cook's leg-stump and earns England a bye. Ballance gets well forward in defence throughout the remainder of the over. Time for India to up the pace. Ishant Sharma is coming on for his second spell of the innings. Time for India to up the pace. Ishant Sharma is coming on for his second spell of the innings. Cook happy to leave alone outside off-stump and then keeps the strike with a single with a nudge down to fine-leg as Ishant drops too short with his final ball. Maverick move from India captain-wicketkeeper Dhoni - he's standing back from the stumps to Jadeja's spin! Presume Dhoni's worried about the ball staying low out of the footmarks. Both batsmen - who are now free to come down the track as they please to Jadeja - collect drop-and-run singles into the covers. Ballance was out caught down the leg side in the first innings - albeit for 110 - and India are appealing for the same thing from Ishant's opening ball. No bat involved this time though, just clipped the thigh pad on the way through to Dhoni. 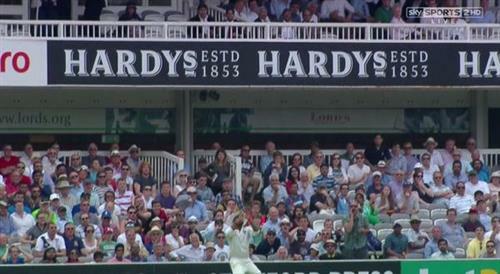 Ishant finds Cook's outside edge but it goes straight down and away for a single, one of three in the over. Dhoni still standing back to Jadeja, who has lots of catchers round the bat - although none of them are in particularly close. It proves costly as Cook gloves a delivery that turns and bounces but drops just short of Kohli at leg gully. 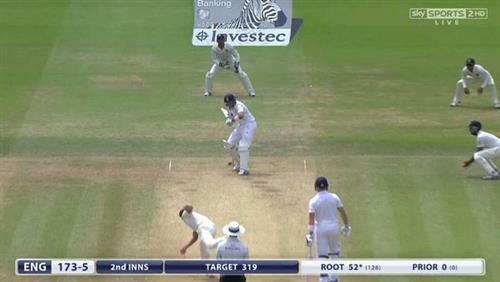 Cook plays out a maiden from Ishant in defensive mode. Left four of the six deliveries alone. @SkyCricket fair play to the main man Michael Holding...he was SPOT ON! Seamer from the Nursery End!!! YOUR VIEW - WHO IS GOING TO WIN? Here we go again folks. Four overs until the second new ball. 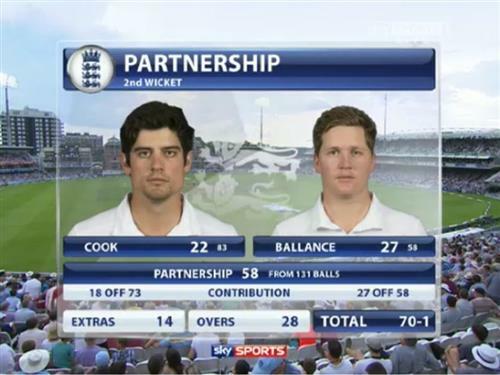 Prior joins Root in the middle, this could be a defining innings with his place in the side under huge scrutiny. Can he see England home? 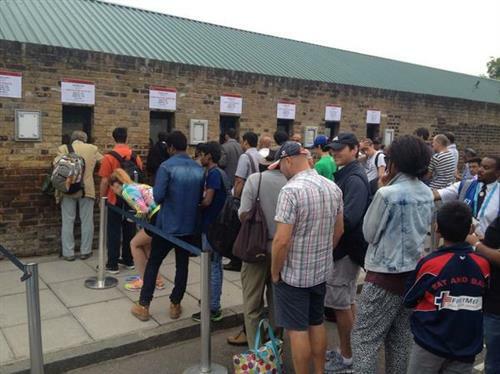 [benedictbermange] This would be England’s second-highest successful fourth innings run chase of all time. Here are the current top three: 332-7 v Australia (1928/29); 315-4 v Australia (2001); 307-6 v New Zealand (1996/97)." 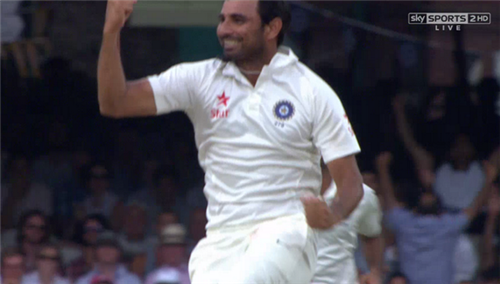 Prior pulls Ishant straight down the throat of Vijay on the midwicket boundary. Two deliveries before the new ball is due..
[betting] England, needing 121 for victory with four wickets in hand, are still the underdogs. Where's your money going? Check out the latest betting.